Welcome back!!! 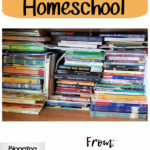 We are on our first week of the new Blogging Through the Alphabet! I am so happy to have you here with me! Not only that, but we have Kirsten from DoodleMom’s Homeschooling Life and DaLynn from Biblical Womanhood joining us! Make sure you stop by and see what they are writing about! 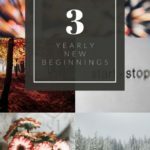 This time around I plan on focusing on books, Titles, Series, Themes and Authors are all up for grabs when it comes to books! I am so excited to share with you what we love to read! 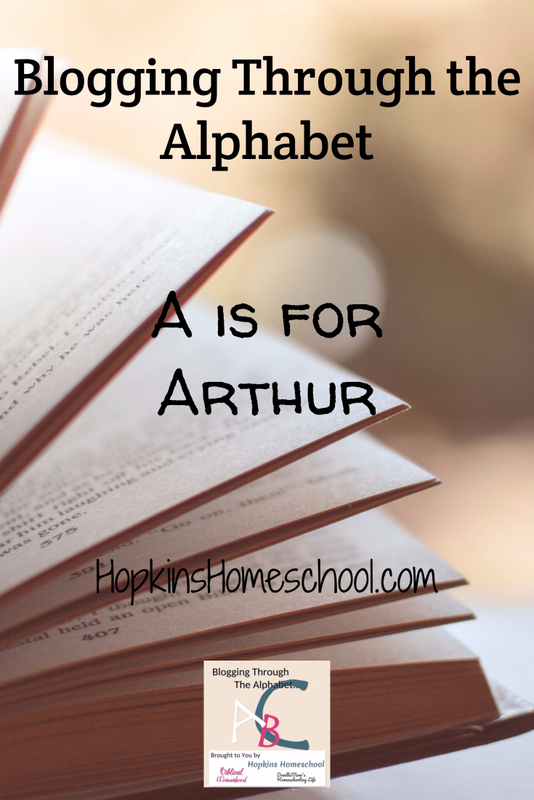 This week for the letter A I want to share our favorite Arthur books! Yes, I said Arthur, the cartoon guy with the annoying theme song that everyone knows how to sing! 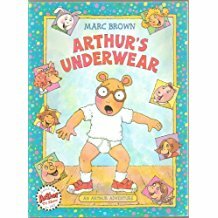 The addiction to these books started with the funny title of Arthur’s Underwear, and we grew from there! Did you know that there are over 50 Arthur books!? I did not realize this! They range from the picture books we fell in love with to chapter books that we have added to our read aloud time! 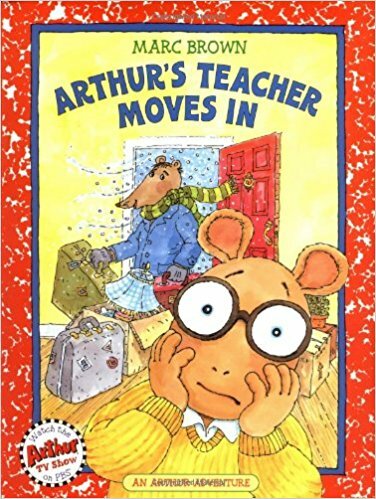 Yes, many of us may think back to the PBS show that we remember growing up, but Arthur has books also! Marc Brown is the author and loves to keep Arthur focused on issues that kids think are important. He shows the kids the right, and sometimes wrong, way to work through your issues. Arthur has a great group of friends that mostly help him, sometimes they cause the problems, but they are all there for each other! We have found a few favorites at our library, actually, it seems like they are at our house more than they are at the library! This funny tale is the one that got the kids hooked! What would it be like to end up in your underwear in front of all your friends? Arthur has nightmares of this happening after witnessing Binky have a freak accident. How does Arthur overcome this fear? Who comes to his rescue when he needs it the most? No one has ever loved Mr. Ratburn. In fact, he was the teacher of my nightmares as I was growing up! I never wanted to have a teacher like him! What changes when you see the teacher outside of the classroom? Arthur finds out when Mr. Ratburn has to stay with him for a few days! Oh no! Mr. Ratburn has given the students an assignment to write a story. 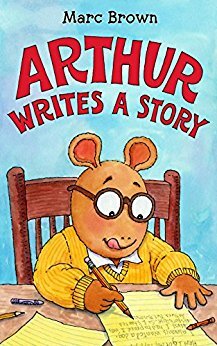 What will Arthur write about? When Arthur starts writing, he has a good idea of what he wants to write about. As he listens to other’s stories, he feels like he needs to add a little of each of their stories to his. But that is not really him. So, does Arthur give in and be like everyone else, or does he stick to who he is and write about what he wants? Arthur is not only in the picture book style! He has graduated to chapter books as well! We found a few of them at our library, with a few more available within our library system. This is great way for Little Miss and Baby Girl to get used to the longer stories, while still being interested in what is being read to them. 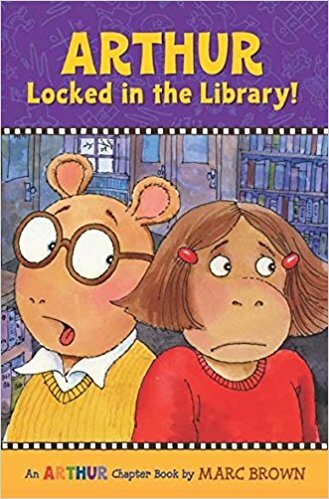 We have just started Locked in the Library. While these books are numbered, you are able to read them in any order that you want and still know what is happening. 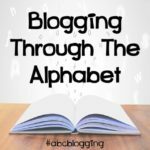 I am so excited about this new adventure of Blogging Through the Alphabet! 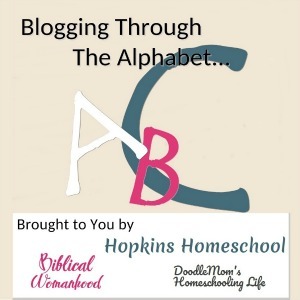 What are you writing about this week with the letter A? My boys loved Arthur when they were little. The books and show were a must in our house several years ago. 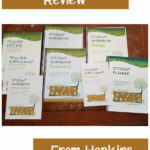 This is terrific, the bookworm in me loves your fresh spin on it! Plus, now I get to go back and finish the posts I missed, having been late to the original party. 😉 Your link button code thingy doesn’t seem to want to work for me, though… advice? No advice, sorry. I am having issues with the silly button and thought I had it figured out. Hopefully soon! Could you email that over to me at hopkinshomeschool (at) gmail.com? I can’t seem to open it here. Thank you Mia and your awesome hubby!!! My girls have enjoyed Arthur, though I have to admit that I am glad it was short lived. He has never been one of my favorites but isn’t it great that there are so many books to choose from that there is something for everyone? What fun that they have made some such favorites that you see them more at your home than the library! I’ve always liked Arthur. I should look at it again and see if it’s something to turn the twins onto. Thanks for the reminder and thanks for co-hosting!